The MotoMama is a motor driver based on the L298N H-bridge driver chip. 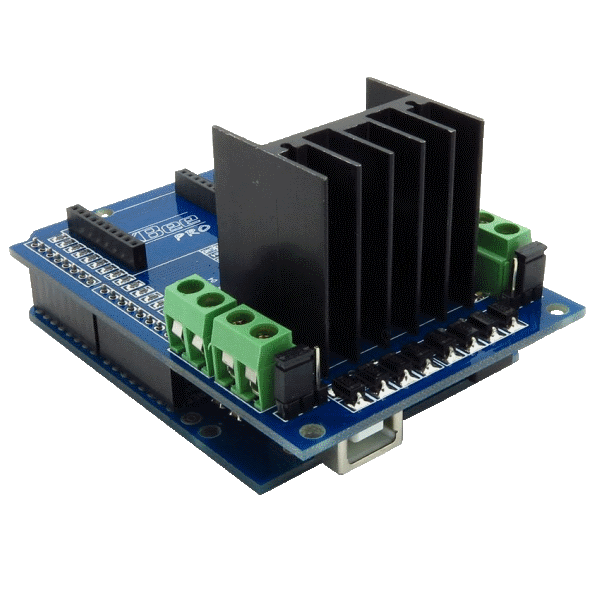 It can be used as an Arduino shield or with another controller. It can drive two DC motors or an four-wire two-phase stepper motors. 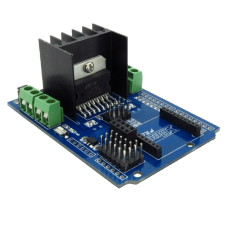 Power terminals are available on the board available and it can also power the Arduino board. Or it can be powered from the power jack on the Arduino board. You can also attach a XBee (or other XBee pins compatible module, like the BTBee) and a nRF24l01 module on the board for wireless communications. NOTE: To use the MotoMama as an Arduino shield, you must solder the provided connectors onto the driver board. 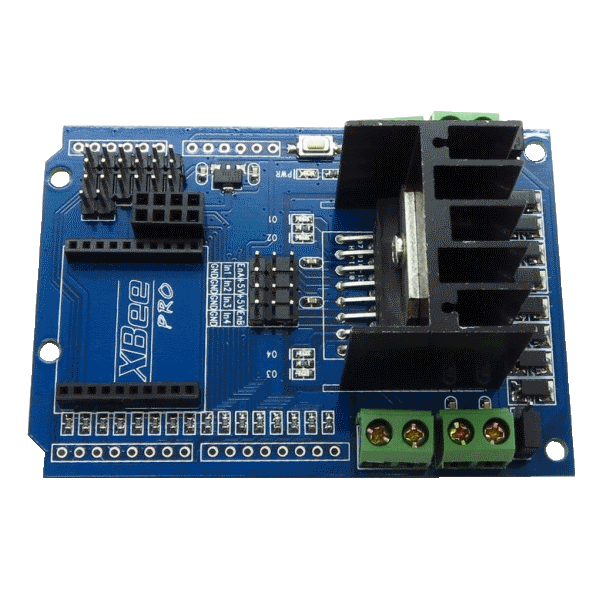 However, we recommend connecting this board via a wired interface and leaving your Arduino free for use with other shields.